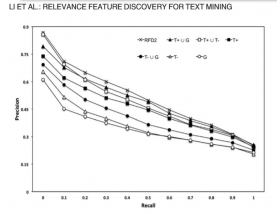 Text mining has reached greater levels as continuous research has been moving on to find newer and improved techniques to mine text data. The researchers have been using the basic mining algorithms and techniques such as K-means, agglomerative hierarchical clustering and such to find the best text mining results. The combinations of the techniques also have made quite an impressive mark in data mining like bisect-K-means. The commonly used clustering techniques like scatter/gather has been beneficial to understand how clustering happens in a real web world scenario. The available tools for text mining are helpful as most of them are open-source and have a wide range of options to work with. Some of the commercially available tools like SPSS are common to data miners. Apart from all these advances, researches are on an ever-growing thirst to find better ways to overcome the data mining difficulties as the data of the present world provides us with a range of parameters which cannot be well assessed using the existing tools and techniques. In such a search, text mining on documents also require attention. As the mining is utilized in different types of data analysis. So all need to increases the different technique in the required area. So proposed work contribute the text mining is by clustering the document or articles in the group without having any prior knowledge of the documents. In the proposed work no need of any format for the input data such as speaker’s identification symbol or special character, here all process is perform by utilizing the different combination of terms and pattern features.